In order to fill out a bracket you will need an ESPN.com account, which can be set up for free using an email address or a Facebook account. There is no fee to submit a bracket, and only one bracket can be submitted per person. The bracket must be submitted prior to 11:15 AM CT (estimated scheduled tip off time) on Thursday, March 16. The alum with the highest scoring bracket will receive an Alumni Association t-shirt, and if applicable the friend (non-alum) of the Association with the highest scoring bracket will also receive an Alumni Association t-shirt. There will be recognition in the next newsletter too. 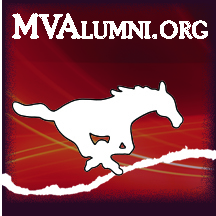 Whether you pick by a combination of chalk, coin flips, team colors or any other variable, best of luck in your quest for bracket perfection and Mustang alumni glory. Enjoy the Big Dance! For any issues or questions please contact Alex Brannaman '09 via email at alex.brannaman@gmail.com.